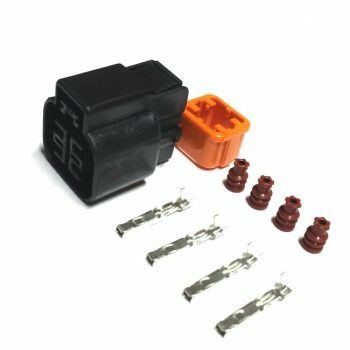 4.8mm terminal (for brake pedal connector). 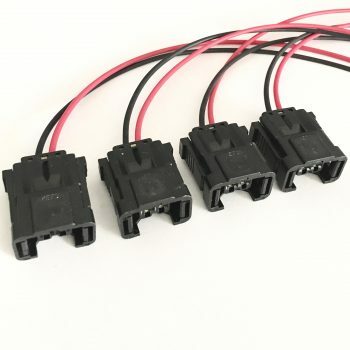 Categories: Connectors & Harnesses.., Electrical connectors, EVO VIII & IX Tag: Brake pedal connector terminal. 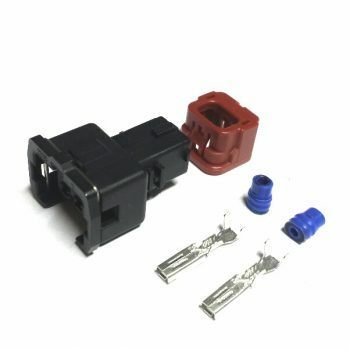 Engine coolant temperature connector (03-06 EVO/EVO X). 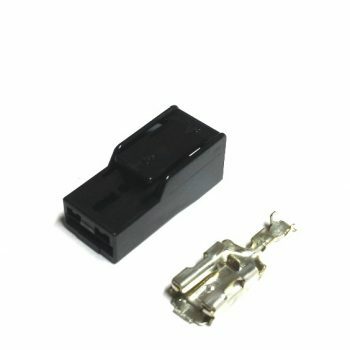 Usually becomes brittle and needs replacement. 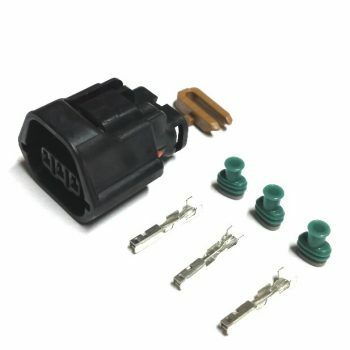 Used on various pressure sensors like oil, MAP and fuel pressure from various aftermarket brands. 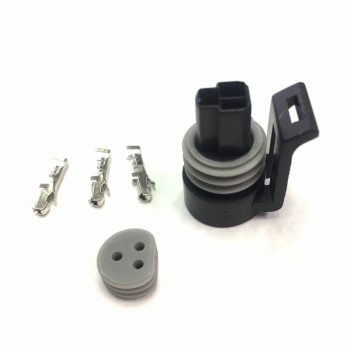 Can be used on any vehicle with EV1 style injectors. 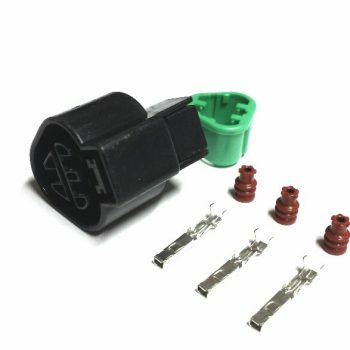 Used to replace the knock sensor connector on your harness side on various Mitsubishis, as well as he EVO X neutral switch on top of the transmission. 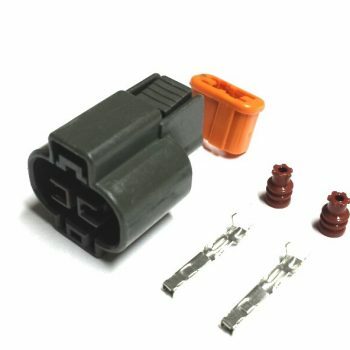 Used on various applications on Mitsubishi cars. 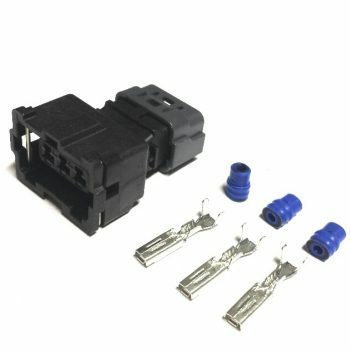 This connector is on the starter very close to the heat which most of the time it needs replacement. 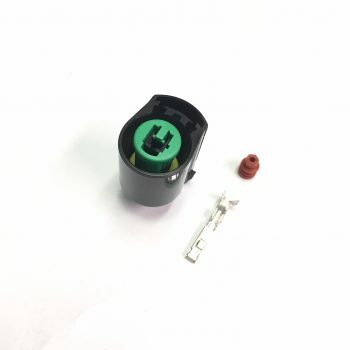 Used on late model 2G DSMs and in all EVOs, aswell as the EVO X F&R CAM and crank sensors. 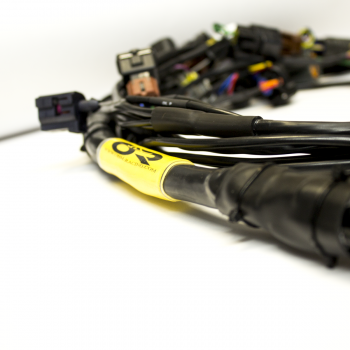 1 Way connector for the A/c compressor on the Evo X. 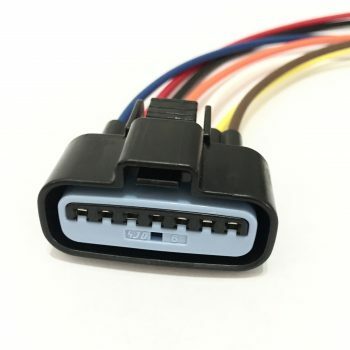 This connector is used on other parts for the EVO 8-9 harness aswell as the 1g DSM. 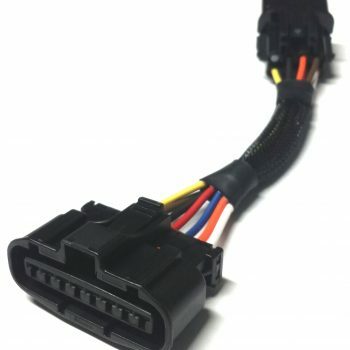 Mitsubishi coil connector for the EVO 8-9. 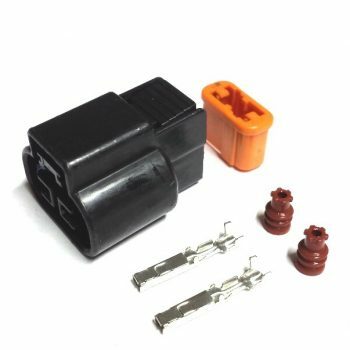 Used to replace you throttle position sensor connector. 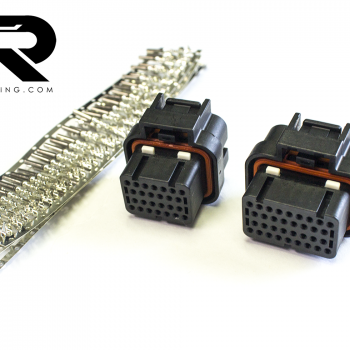 Used on both 2G DSM and EVO 8 & 9 aswell as the EVO X MDP. 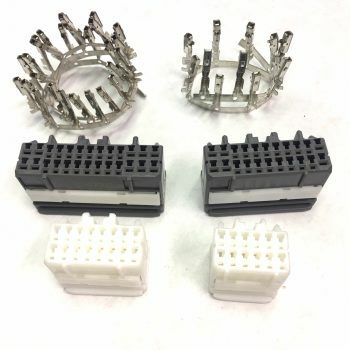 Connector terminals and seals, assembled pigtail coming soon. 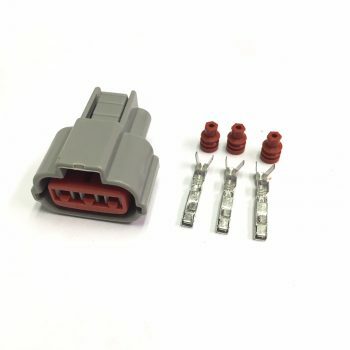 Wiper connector used on Evo 8-9, this product comes disassembled, if you would like us to assemble it for you give us a call or send on an email. 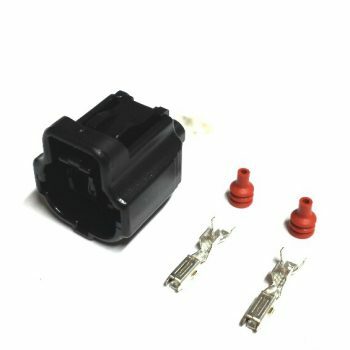 Used on 2003-2006 Lancer evolution & 3G eclipse for Mass air flow connection. 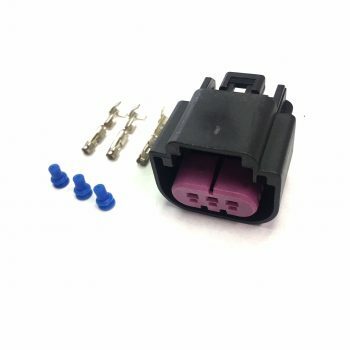 Can be used all eV1 style injectors as upgrade. 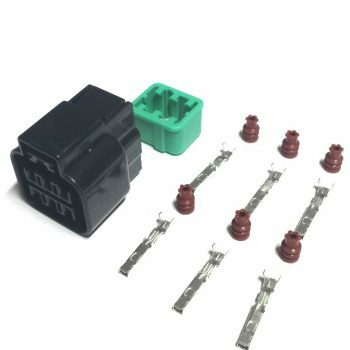 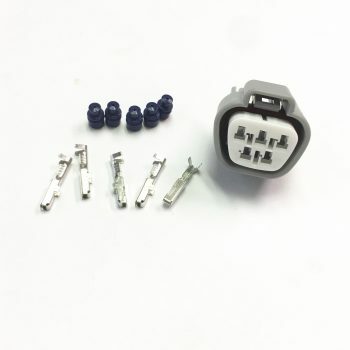 Two different type of terminals included on this kit, you won’t need to purchase any more terminals separately. 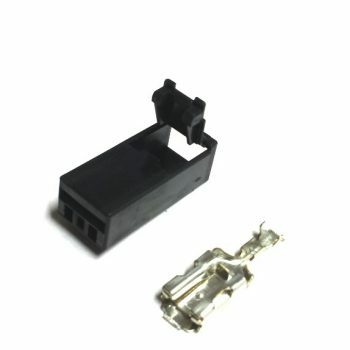 Used on various aftermarket engine control modules. 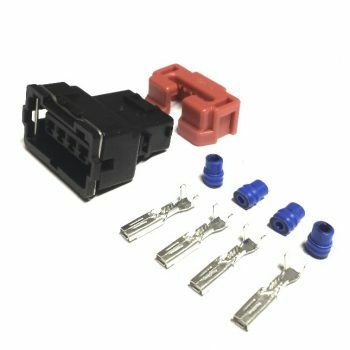 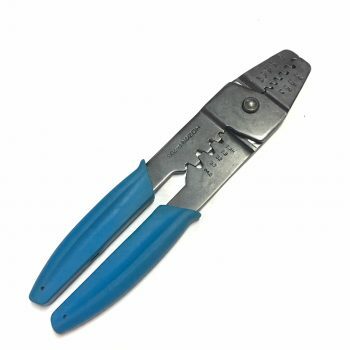 This is the crimper available and the one you would need for all those terminals in all the OEM and aftermarket connectors we offer. 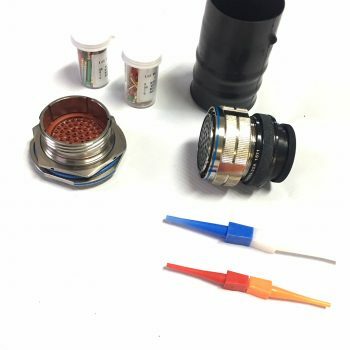 40 cavities of 20AWG, and 8 cavities of 16awg. 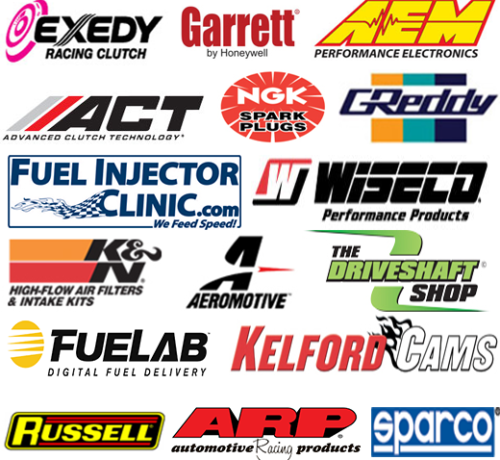 Mainly used for motorsport and Military (Raychem boot included).